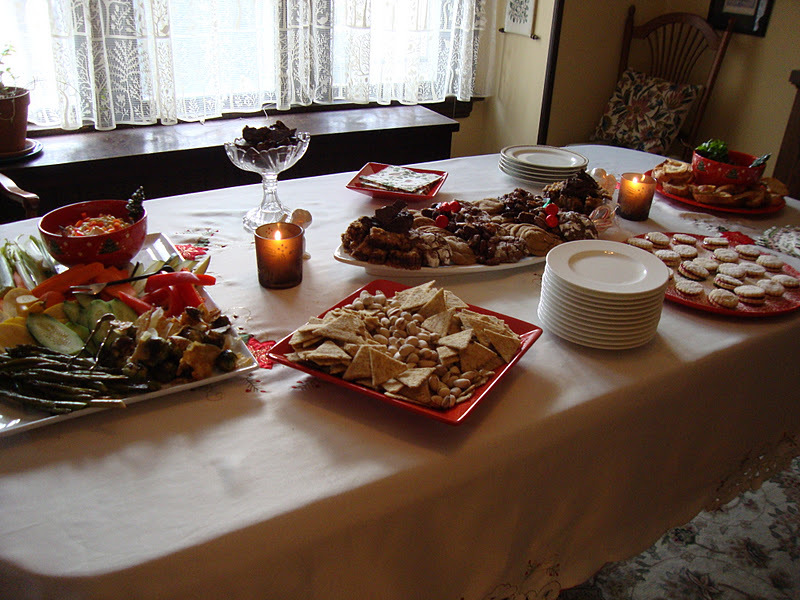 An afternoon open house is the perfect party … No main course. 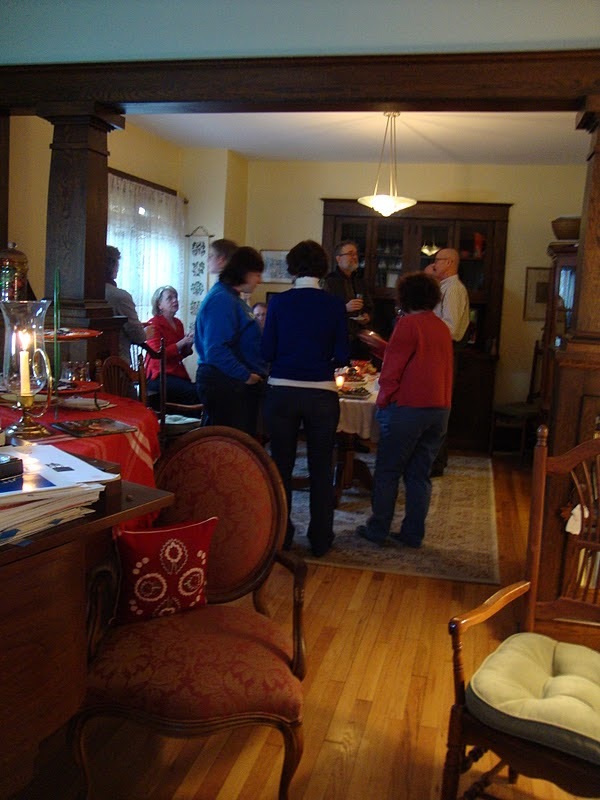 Everyone’s gone by dinner time… And folks show up because other commitments are for evening. Few dishes to wash. Food that’s easy to prepare ahead. Your goal: everything out and ready for guests to help themselves. Your reward: To be able to enter your own party! 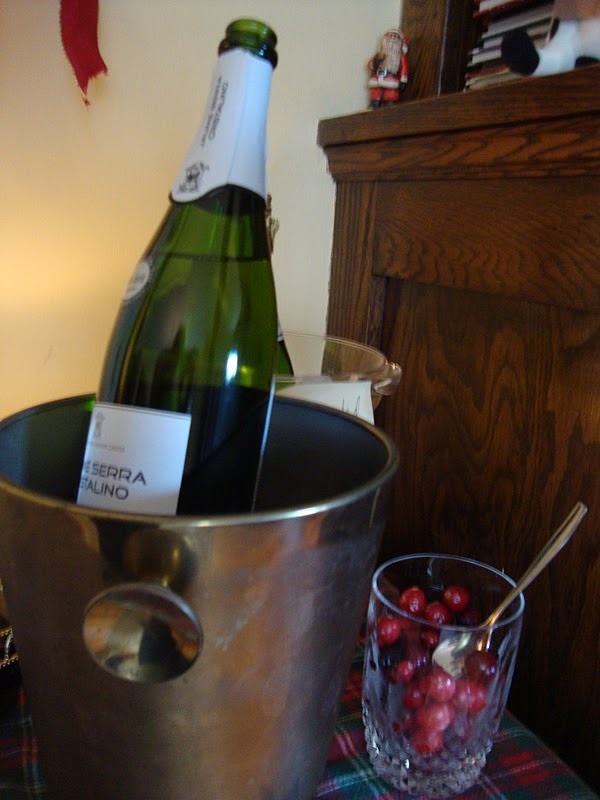 A couple of perfect festive drinks (Sparkler and Hot Cider), as well as a pot of strong coffee and some thick cream (for those who must dunk cookies or are heading to a serious evening party), make set-up much easier than a cocktail or dinner party. People come dressed comfortably. Yes. A festive few dishes and a candle or two. Not much more needed. Crowded is ok. They’ll come and go. All set up ahead leaves time for visiting and listening to the great Christmas playlist you put together for the party. Everything from Revels to Tony Bennett to Harry Connick, Jr. to Cambridge Singers. Something filling for those who skipped lunch. 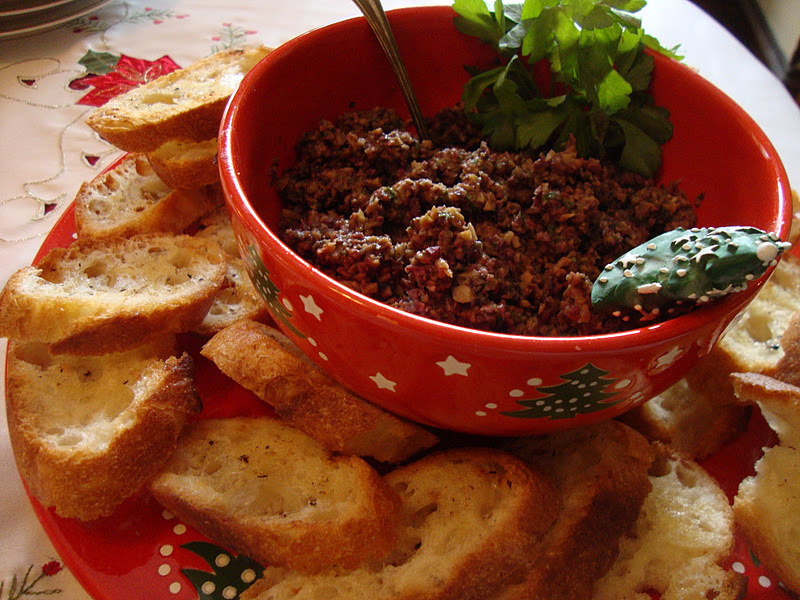 Here, a great tapenade. Don’t skimp on the olives; buy the best you can find. Grill your sliced baguette on the stove if it’s too cold outside. mimosas for brunch. There’s usually a discount if you buy a case. Think ahead. Cava and Cranberries. Back-up bottles all chilled in the frig. 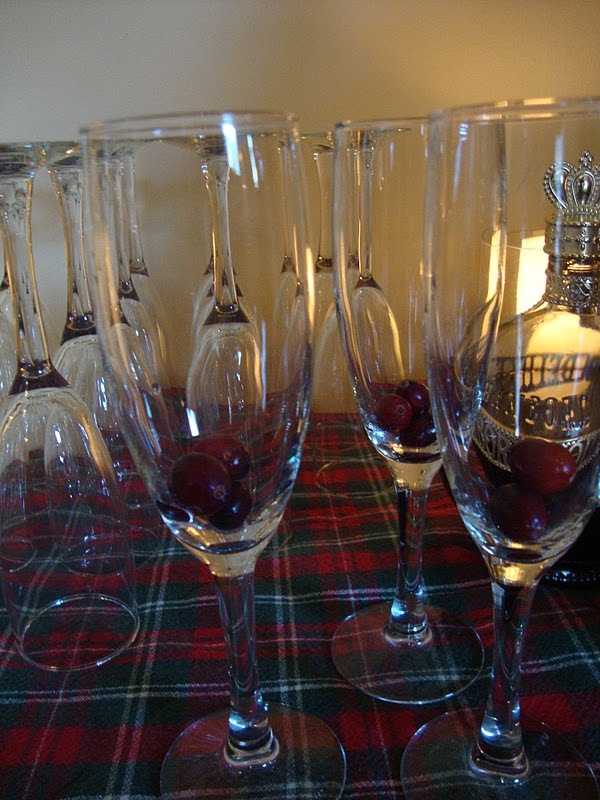 Leave flutes set up with cranberries and folks will pour the sparkler over them. David Lebovitz famous Pretzel and Nut Mix. No Chex Mix needed. Something crunchy is a must. Nuts, pretzels, chips…for the salty people. My take on Eli Zabar’s shortbread recipe..Bittersweet chocolate and sea salt.. I like Valrhona chocolate for dipping, but could only find Callebaut locally this year. Makes excellent hot chocolate, too, by the way if you’ve any leftover from dipping. Valrhona is French chocolate; Callebaut is made in many places, but is basically Belgian-French in origin. *Pot of strong coffee and Hot Water for tea. The best cream you can find. Lemon, sugar. *Cookies–4 of your favorites. Homemade or beg from friends-even buy at great bakery. *Cranberry Almond Bars with Tangerine —You must have chocolate. Make it yourself. *Alyce’s Go Nuts! Salty, hot, and sweet pecans. Great protein. 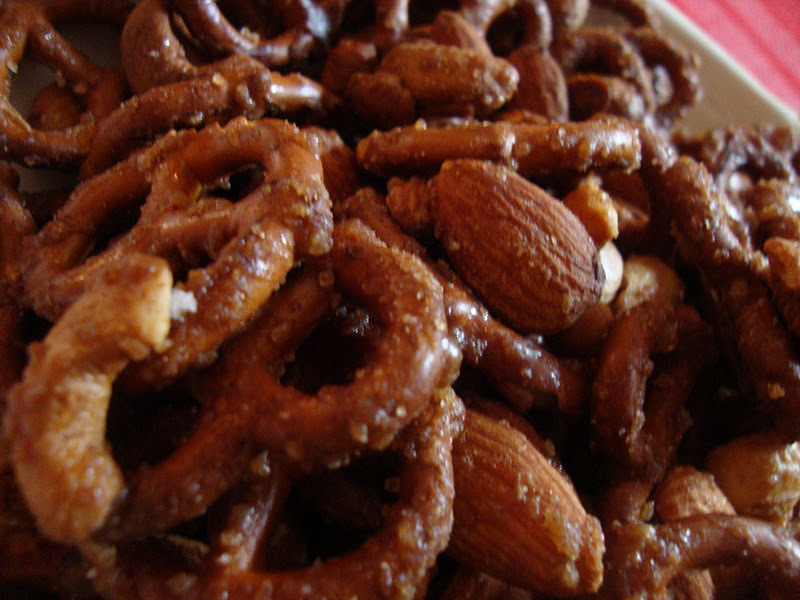 *David Lebovitz Pretzel and Nut Mix–gotta have something that crunches. Place all ingredients except garnishes in the food processor and pulse until well-blended. Taste and readjust seasoning. If making the day before, the garlic will settle down a lot overnight in the frig. Store in a tightly-covered container in the refrigerator for up to 3 days. 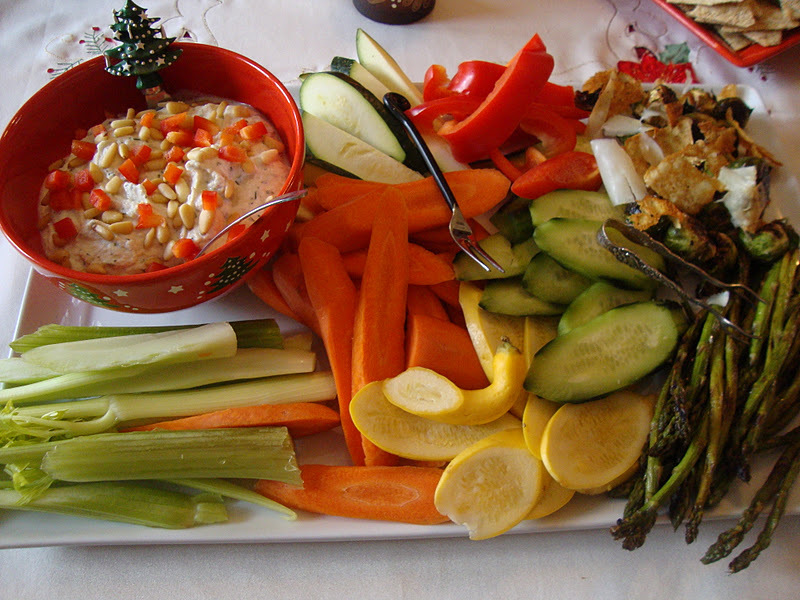 Spoon into serving bowl and garnish with pine nuts, peppers, and sprigs of rosemary Serve with fresh vegetables or crackers. If too thick, add a few drops of milk and stir well before serving. 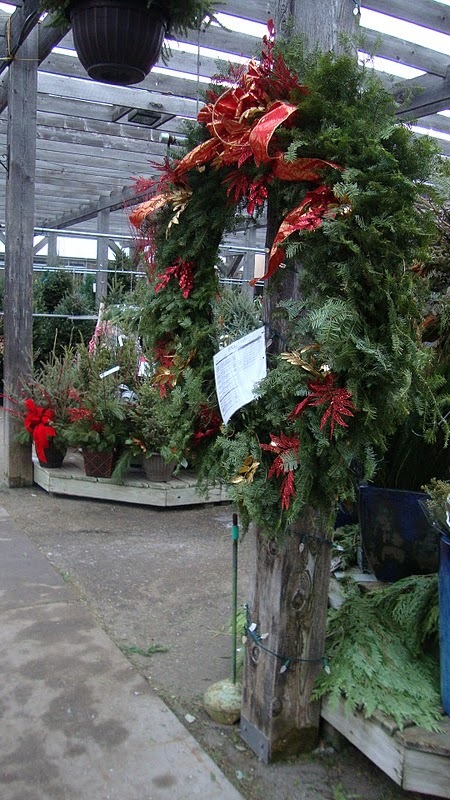 This week, we’re buying a few small gifts, making a vat of barbequed brisket, going to a choir party, taking some friends out to dinner and to a Rose Ensemble concert, baking a manger scene (yes!) 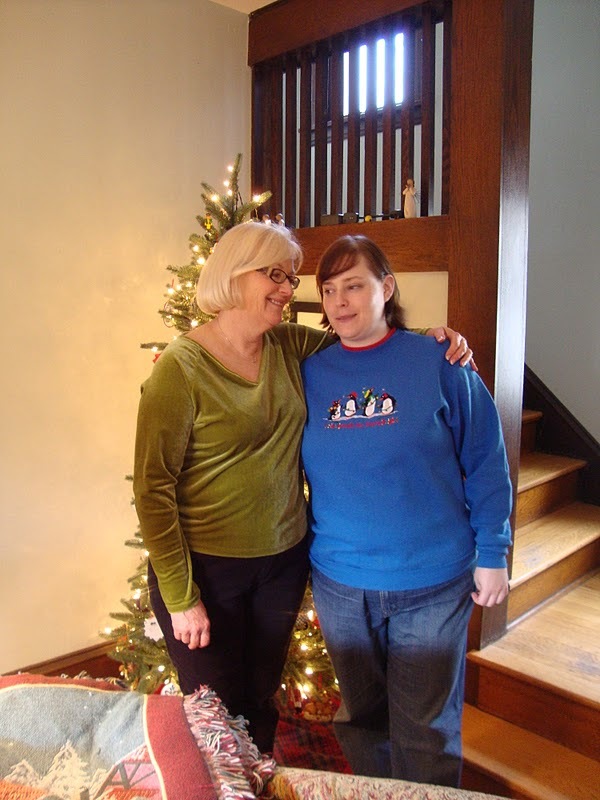 and stollen, watching every Christmas movie we can, and picking up my sister at the airport. Emily and I are getting our hair done together tomorrow, so we’ll be all cleaned up for the whole deal. Work is slowing down, though I still have a couple of pieces to rehearse and direct. Probably need to get that Rutter out and practice! Dave’s week will be intense and then crawl, alternately….as co-workers world-wide try to get ready for Dell’s week-long break, but still make time for Christmas parties. We’ll be at church on Christmas Eve, of course…it’s my favorite service. If there’s time, we’ll stop by a couple of open houses, but we’ll come home to cookies and eggnog in the wee early hours of Christmas morning and fall into bed to listen for the sleigh bells. For years, I never even made Christmas dinner and I’m an avid cook. By the time Christmas Eve services were done, I was done, too. No one’s happier to see Christmas day arrive than a church musician. A great meat tray and the perfect basket of croissants sounded good to me. Maybe a big bowl of shrimp and sauce and fresh veggies. But one year Dave began cooking on Christmas Day and that continues. 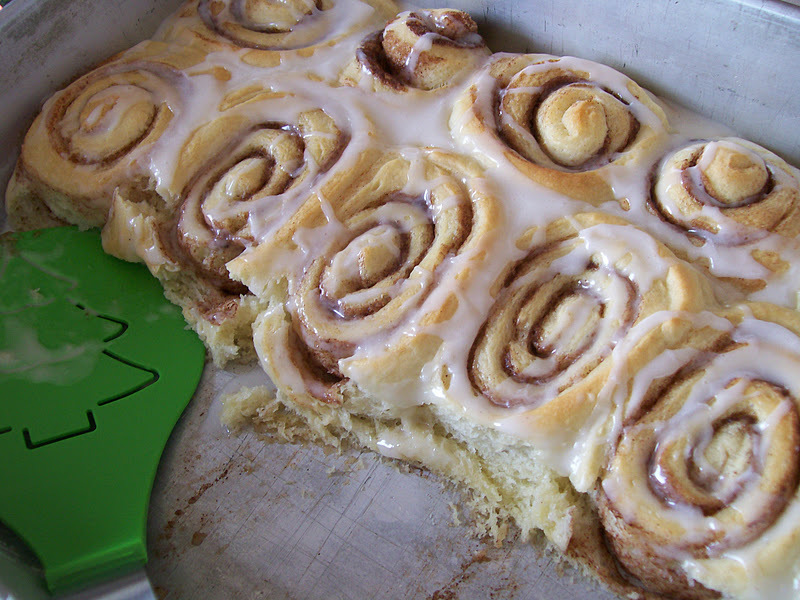 I do a mean pan of cinnamon rolls and stollen and and an egg casserole for brunch after presents and he’s in the kitchen the rest of the day often cooking up something out of Tyler Florence’s books. It’s a hoot for him to get me out of that kitchen and to just putter on his own. No timetable. I stay in my jammies and watch movies. 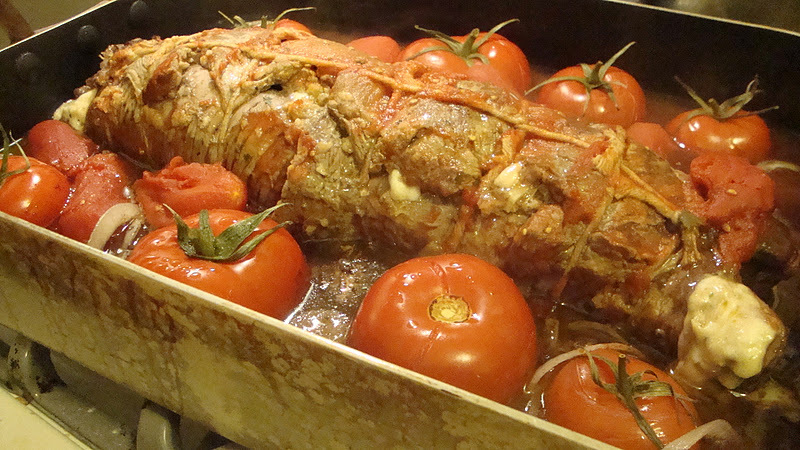 Last year’s Christmas Day rolled flank steak with roasted tomatoes. Christmas Day. Toys, movies, the pups. 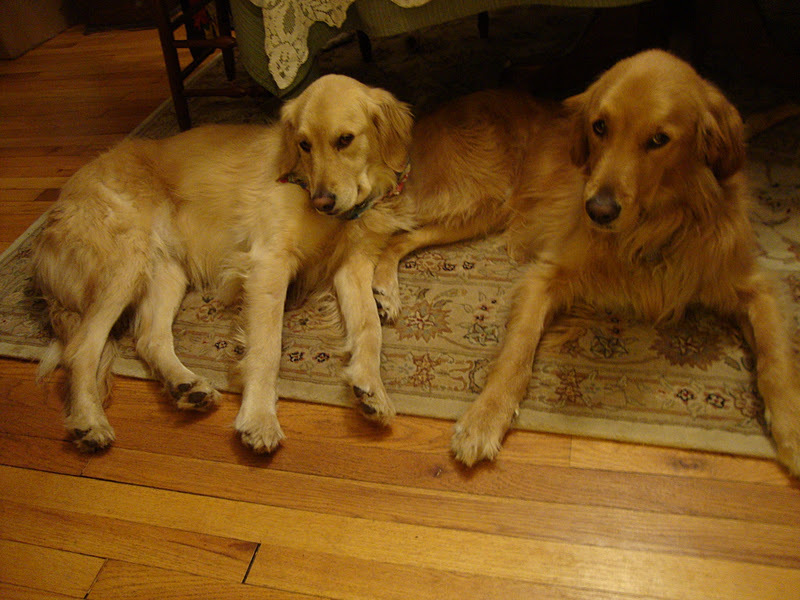 Gabby and Tuck have been good all year, but they’re still worried there’ll be nothing in their stockings. Maybe there are others with the same fears…. Want to feed some kids before the end of 2011? With your help this holiday season, we can connect hungry children with nutritious meals all year long! Every $1 you donate to Share Our Strength helps connect a child with up to 10 meals. Through December 31, our No Kid Hungry Partners are matching the first $500,000 donated during the holiday season. Click here to donate. John O’Donohue is fond of talking about “entering your own life,” but I love the idea of entering your own Christmas. It’s time. Merry Days to you! Do the fun things. 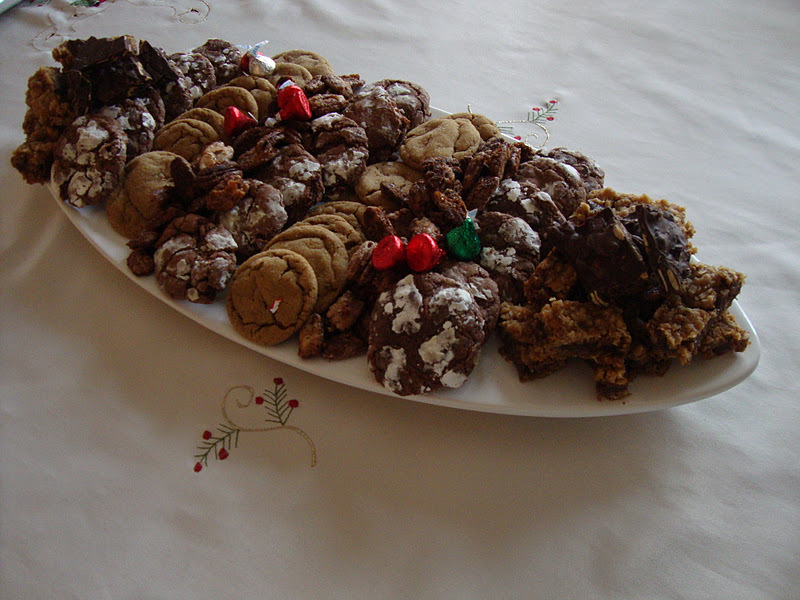 Last Year on Christmas Eve, I posted the recipes for these cookies. As they are among my favorites, I thought them worth posting again! Happy Cookying, my friends. 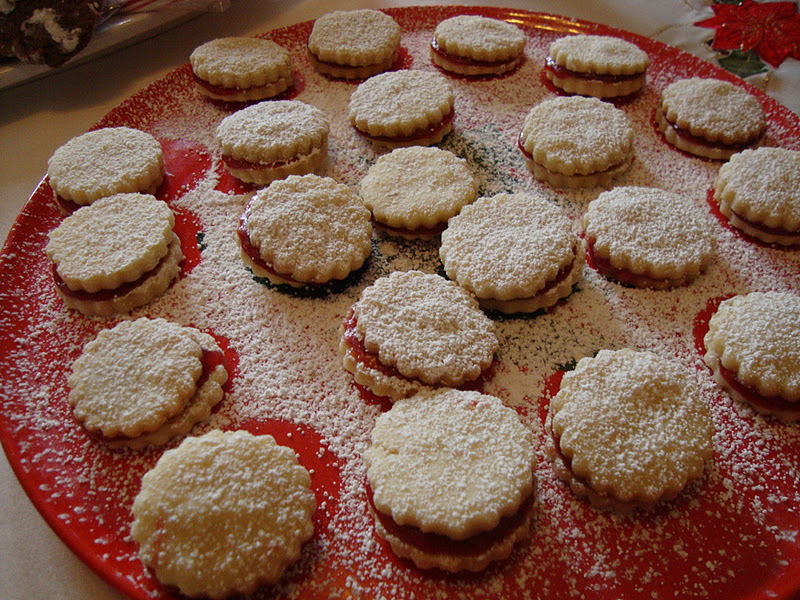 These cookies are at the right of the tray and are both shortbread cookies made from the same recipe, but finished differently. The recipe is Eli Zabar’s (NYC) and I took it straight from Ina Garten. Just the end results are totally different. And while these are not terribly innovative, they are terribly delicious. Addictive, in fact. Go ahead; you still have time to bake. No? How about for New Year’s? Truthfully, the 12 days of Christmas haven’t even begun yet. Get out those trays and crank up that oven. Take a batch to a neighbor you wish you knew better or run up to the local church for services tonight and give a batch to one of the musicians. Like me. I’m working tonight. Mix together together the butter and the sugar in the bowl of an electric mixer until just combined. Add vanilla. Sift the flour and salt and add it to the butter an d sugar. Mix until the dough starts to come together. Dump on a floured board and shape into a flat disc. Refrigerate, tightly wrapped, for 30 minutes. Roll dough out 1/4″ thick on a floured surface and cut with 1 1/2- 2″ fluted cookie/biscuit cutter. Bake on an ungreased sheet for about 10 minutes–until edges show the faintest signs of gold. Let cool to room temperature. 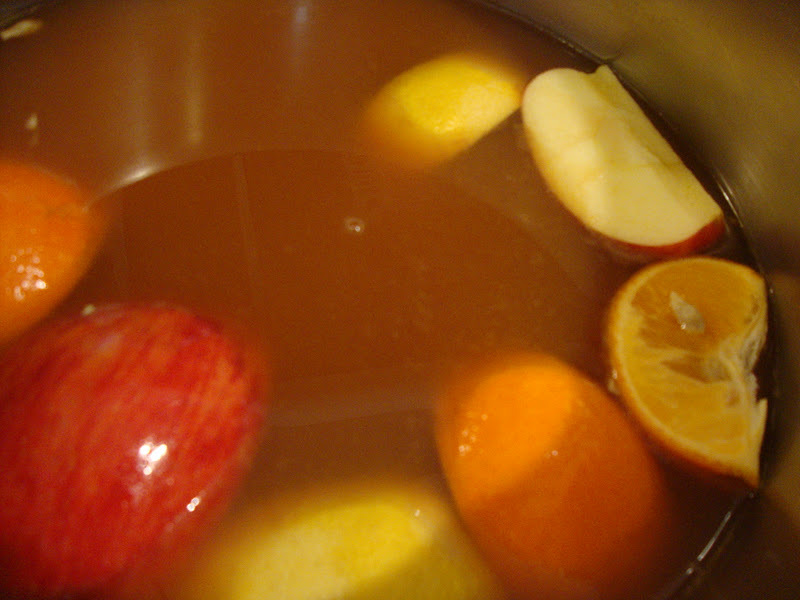 Mix jam with Cointreau and heat briefly; stir well. 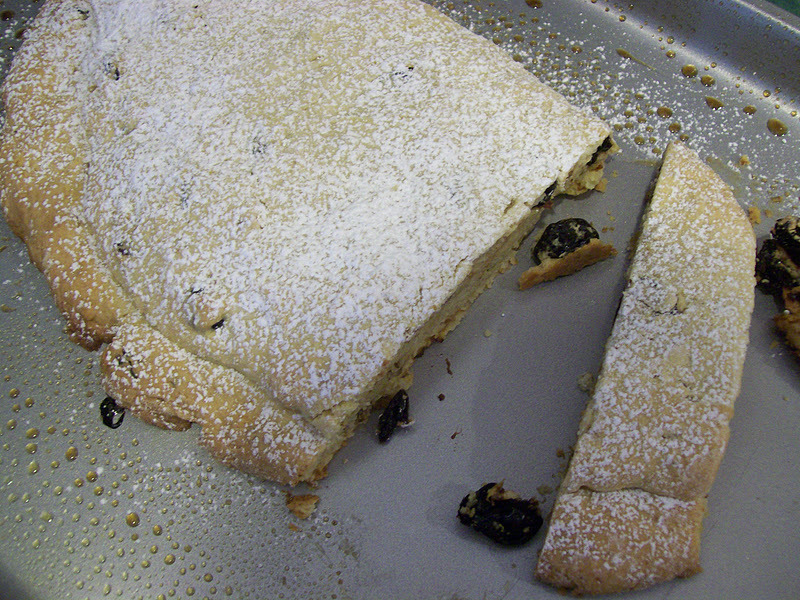 Turn cookies flat side up and, holding one, place about 1/2 t jam mixture on it. 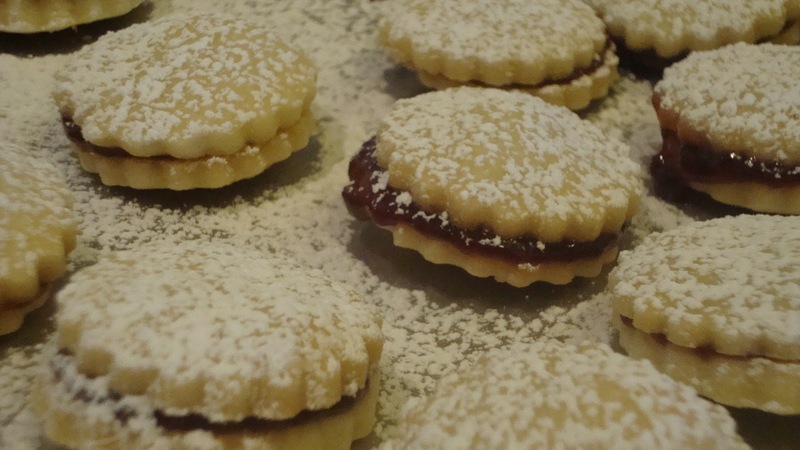 Place another cookie, flat side down into the jam mixture and press together lightly. Place cookies on racks as you finish them. When all are done, dust with confectioner’s sugar shaken from the shaker or through a small strainer/sieve. Chop or grate chocolate into a small sauce pan. 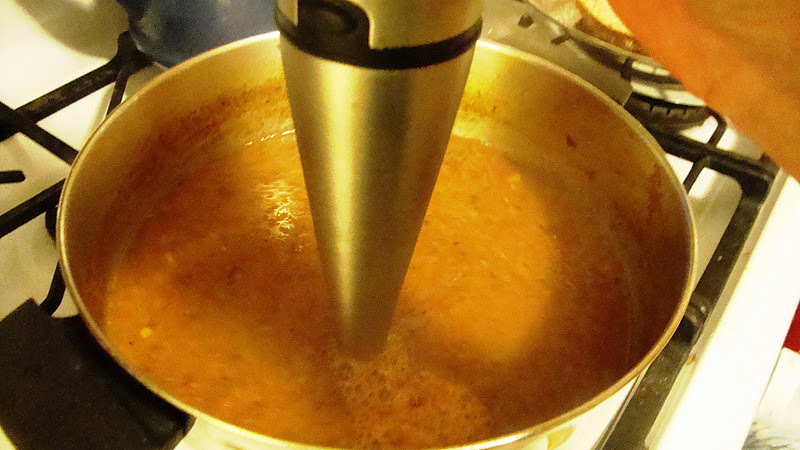 Place sauce pan over another with an inch or so of simmering water. Let chocolate melt slowly. When melted, take each cookie and dip halfway. 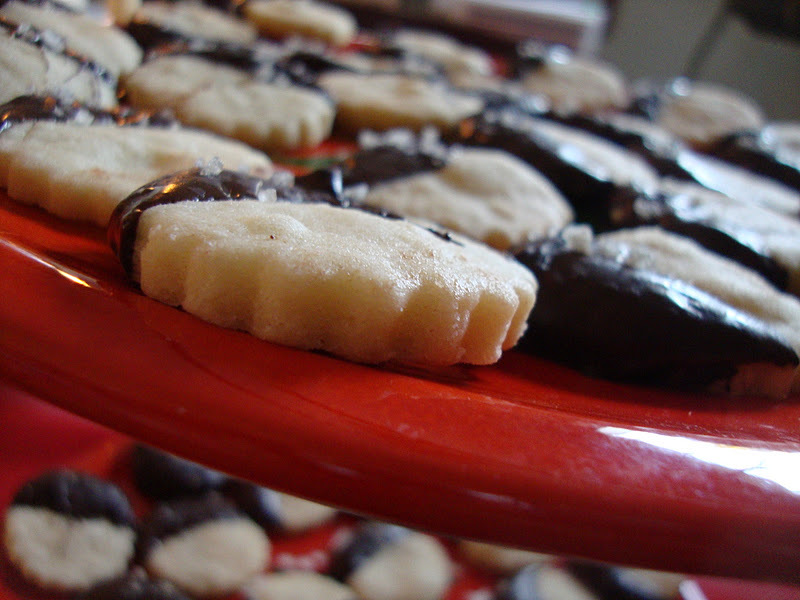 Place each dipped cookie onto a wax paper lined tray to dry. 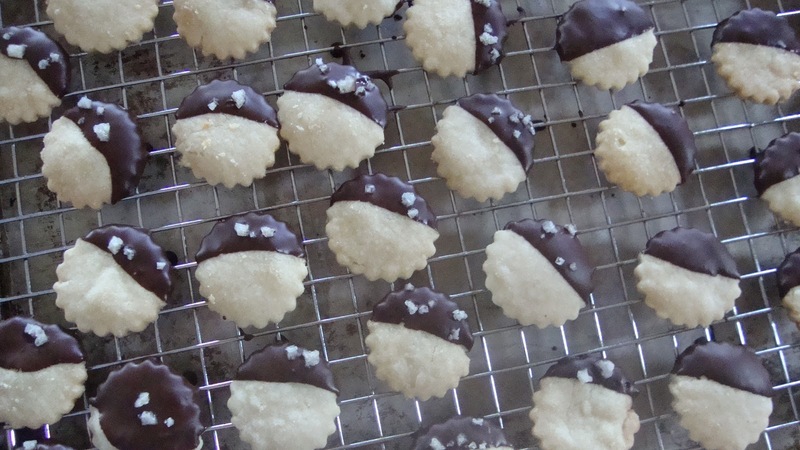 Place a piece or two of sea salt, if desired, on the chocolate side before the chocolate dries. *Depending on how much of the dough you commit to the chocolate variation. 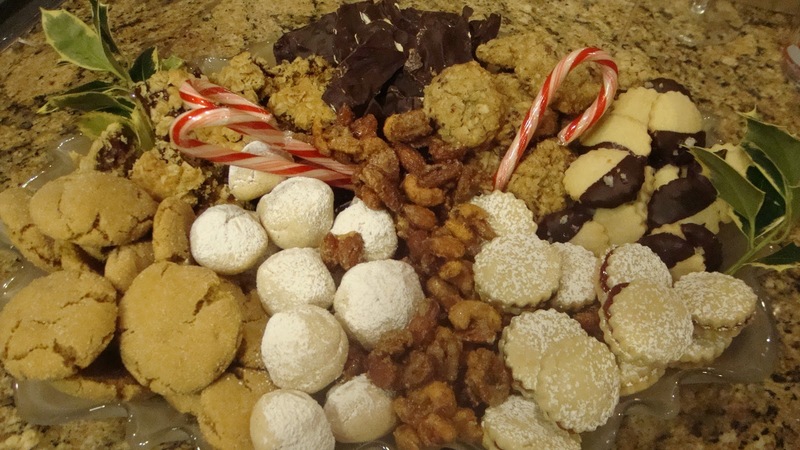 Store these cookies in tight containers after they are very dry. Place wax paper between layers. 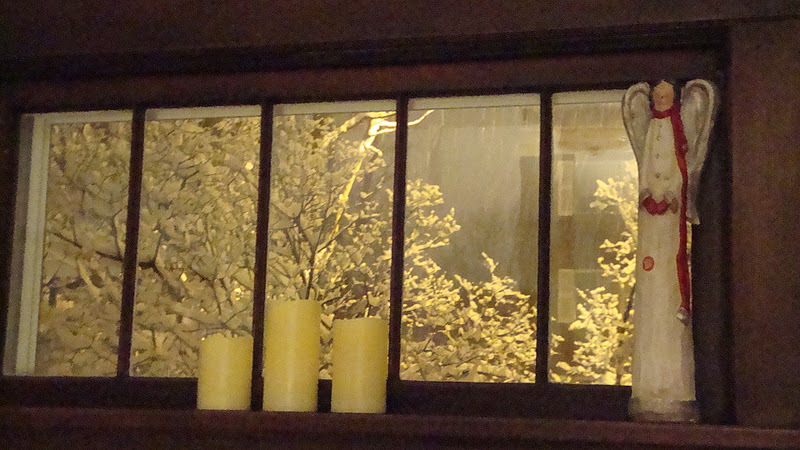 Homemade Tomato Soup and Fried Cheese on a Snowy Night or How’s the Second Week of Advent Goin’ for Ya? 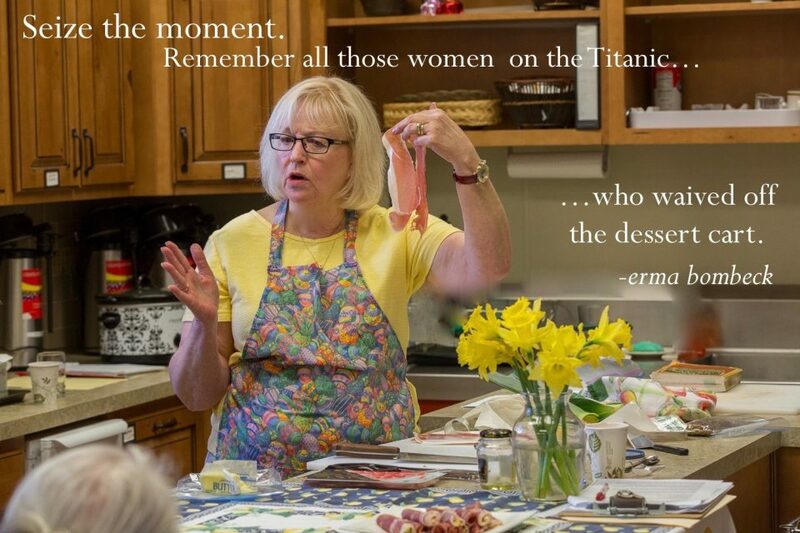 The story goes that tomato soup and grilled cheese sandwiches…. Actually, I don’t know that story. If you do, tell me. I just can’t remember when I didn’t eat that comforting, homey classic Saturday noon meal. My kids grew up eating it, but mama’s got a brand new bag. This time around, I made the tomato soup myself. No sugar, sweetheart. Just a drop of honey to counteract the acid in the tomatoes. And…no grilled cheese sandwich. Not for me. Dave had one. Instead, I fried my cheese and gently topped my soup with it. Process pulsing until the vegetables are evenly and quite finely minced. When quite warm, spoon in the minced vegetables and let cook 5 minutes until softening. You’ll need 1 large, thin slice of cheese for each serving. I used low-sodium Swiss Cheese, but Cheddar would also work well. Don’t use too soft of a cheese. 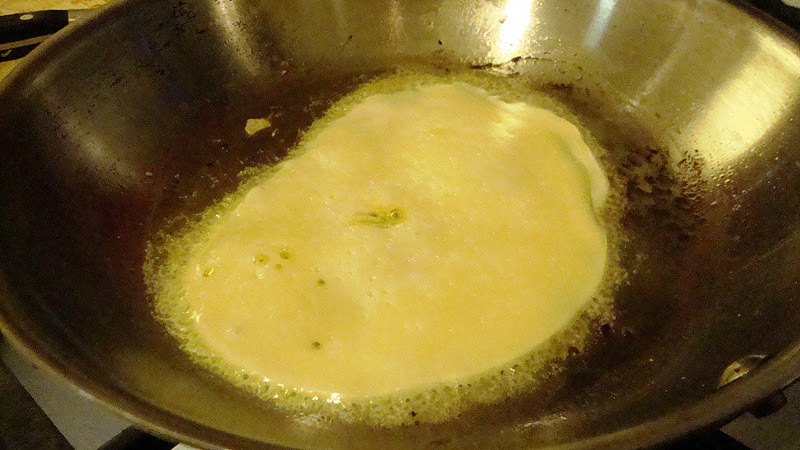 Directions: In a small skillet, heat 1T olive oil over medium heat. Place the cheese slice in the pan, and watching closely, let melt well. 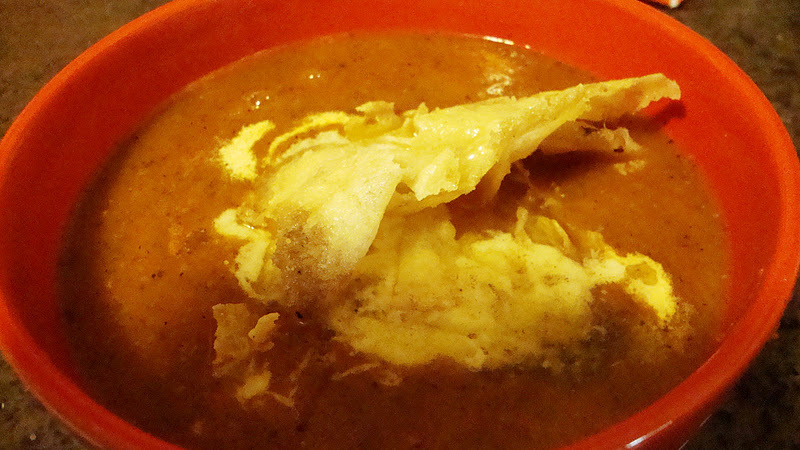 Meantime, ladle the soup into the bowl. 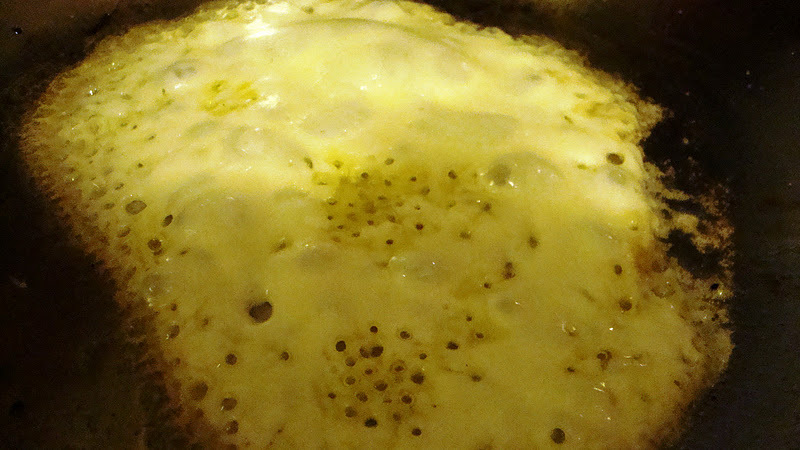 Scrape out the melted cheese into a bowl full of soup and put the skillet back on the heat briefly. 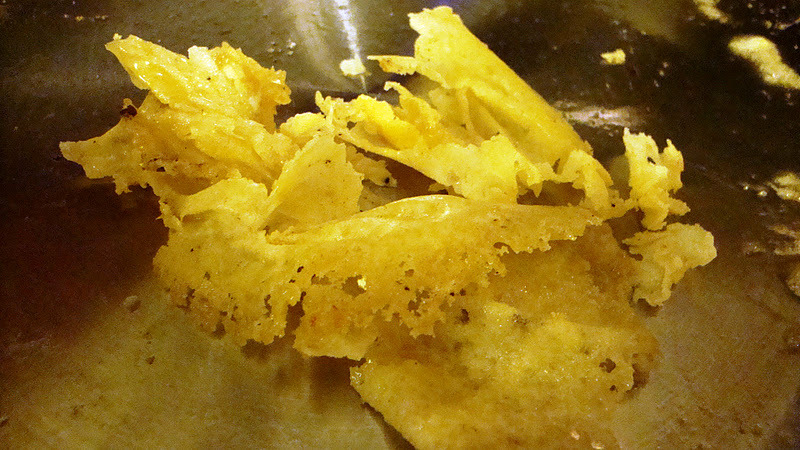 Using a good spatula, scrape the now crispy leavings of the cheese into the bowl. Eat while hot. It’s the second Sunday of Advent. In my world, we’re moving daily through the journey toward the stable. Trying to figure out how to be ready for God to be born in our hearts. Taking a good look at what we’ve stored in there over the last year as it’s been that long since we took inventory and marked down the things that didn’t sell. Looking in dark corners. Blowing away the dust and sweeping away the cobwebs that can’t be there if we are to prepare him room. While it can seem odd, we are continually waiting for Jesus to come again. So today, we sang and talked, and lit candles. Took communion together and sang, “Wait for the Lord, whose day is near.” Jody played the accordian and the sounds of the guitars, banjo, organ, piano, and steel guitar raised the roof to praise God and to make alive our wonders and wanders. 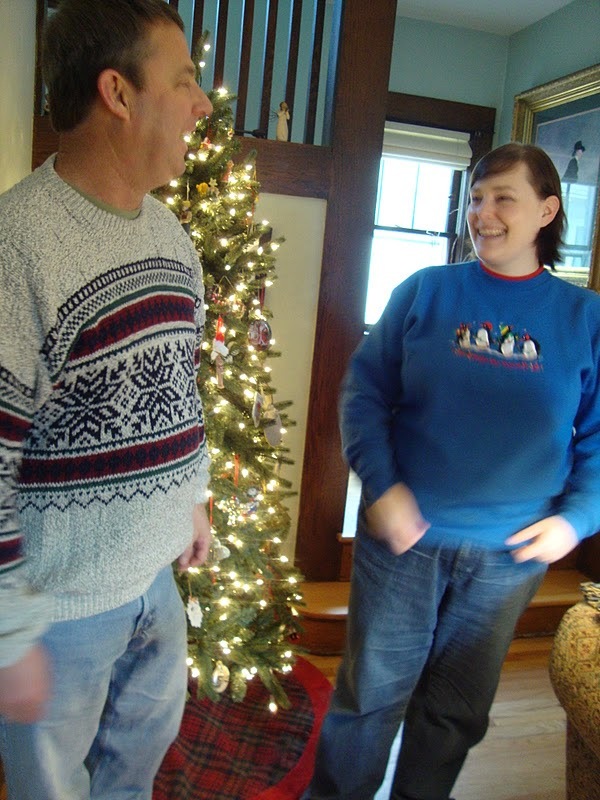 At home, we’ve got the tree, but it’s not up. 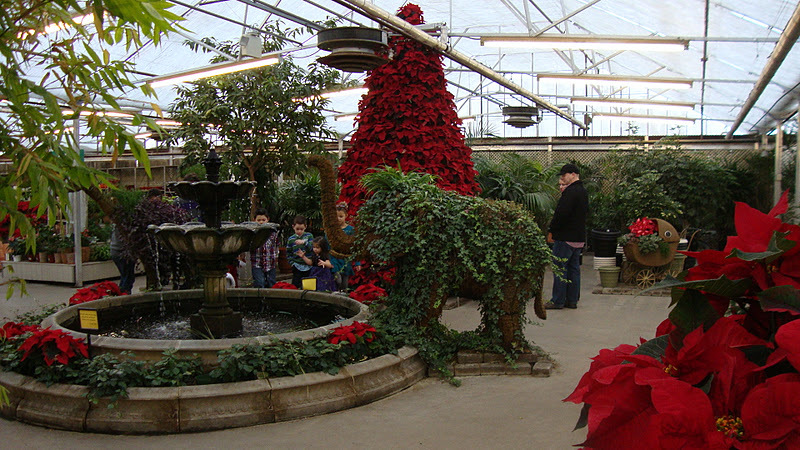 Had a great day Saturday at Bachman’s looking at the decorations and buying a new tree, but it’ll sit out in the garage a while. The Christmas dishes are out. The table has the Christmas candles to grace it, and the many boxes of butter for the cookies are ready in the freezer. Down in the basement, there are stacks of flour, sugar, and chocolate. Almonds, raisins, and pecans. Invitations went out today to draw friends in for a bit of cheer on a Saturday afternoon not too far away. 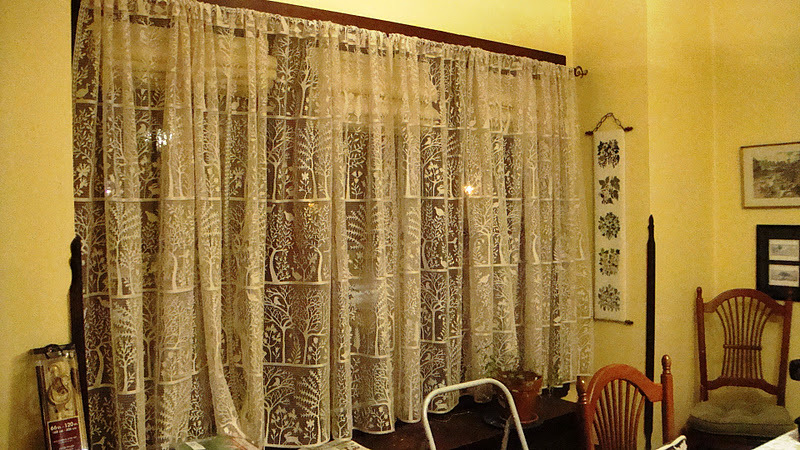 We’re finishing chores like the painted trim in the kitchen and getting curtains up… “What? Are you waiting for Christmas?” takes on new meaning. The choir is working hard to be ready to sing our cantata next week. Joseph and Patricia Martin’s “Canticle of Joy” is our offering and our study…our way and our journey this year. All over the world, I’m comforted to think choirs are doing that same thing. Moving in on the music, getting it in their hearts, and making it one of their priorities. Makes you learn the story with your whole body when you sing it. 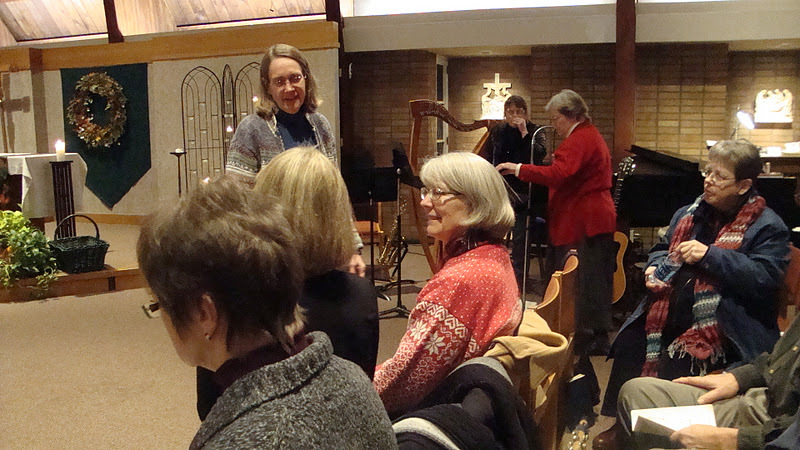 Here are a few at our rehearsal with Cabrini for Thanksgiving service. 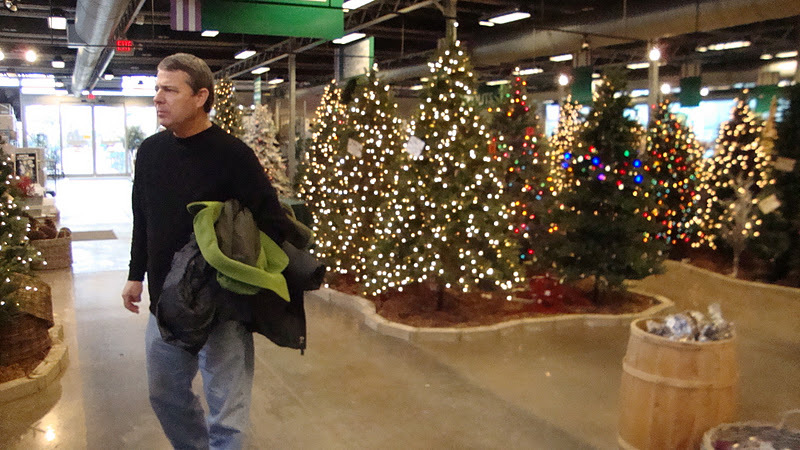 At Bachman’s looking for a tree…. 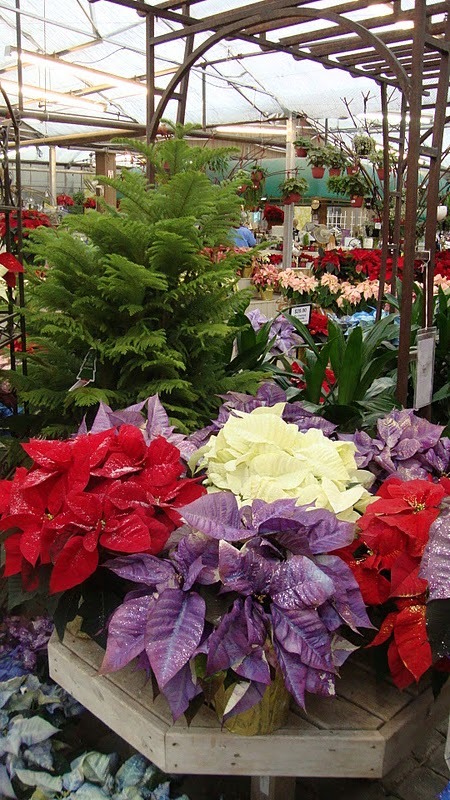 Did you ever see a blue or purple poinsettia? 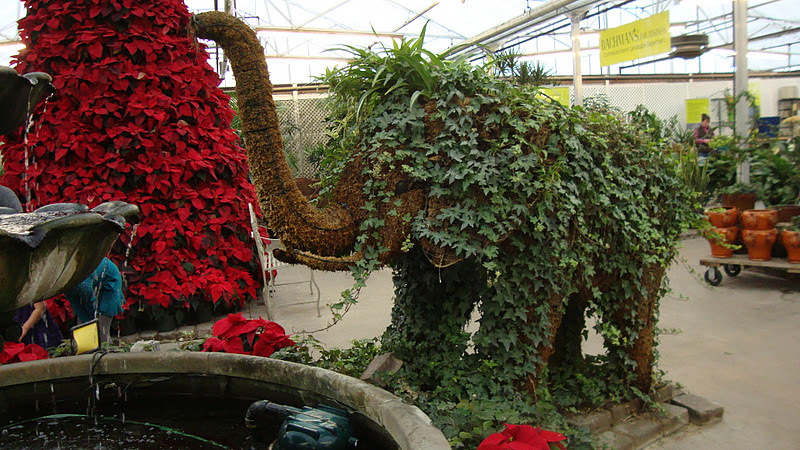 Elephant topiary next to the poinsettia tree. Beautiful, but out of our price range. 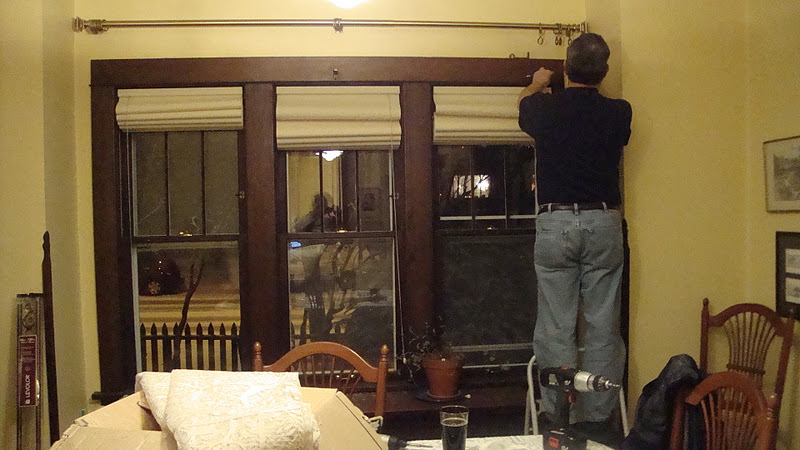 Finally getting our curtains up once we got home. 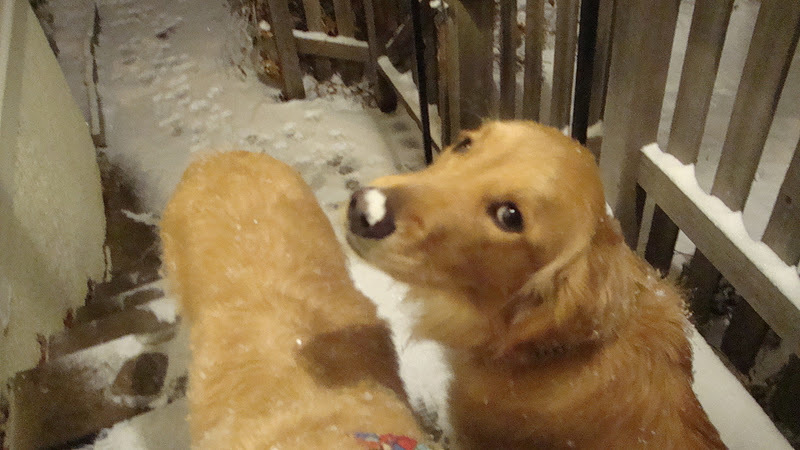 The Tuckster’s been eating snow. When we demand satisfaction of one another, when we demand any completion to history on our terms, when we demand that our anxiety or any dissatisfaction be taken away, saying, as it were, “Why weren’t you this for me? Why didn’t life do that for me?”, we are refusing to say, “Come, Lord Jesus.” We are refusing to hold out for the full picture that is always given in time by God. When we set out to seek our private happiness, we often create an idol that is sure to topple. Any attempts to protect any full and private happiness in the midst of so much public suffering have to be based on illusion about the nature of the world in which we live. We can only do that if we block ourselves from a certain degree of reality and refuse solidarity with “the other side” of everything, even the other side of ourselves.